This titanium tactical pen from Rike Knife offers the flawless machining skills and durable titanium construction that Rike has become known for. 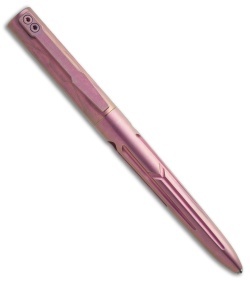 It is equipped with a threaded and O-ring sealed cap, and a carbide striker tip. 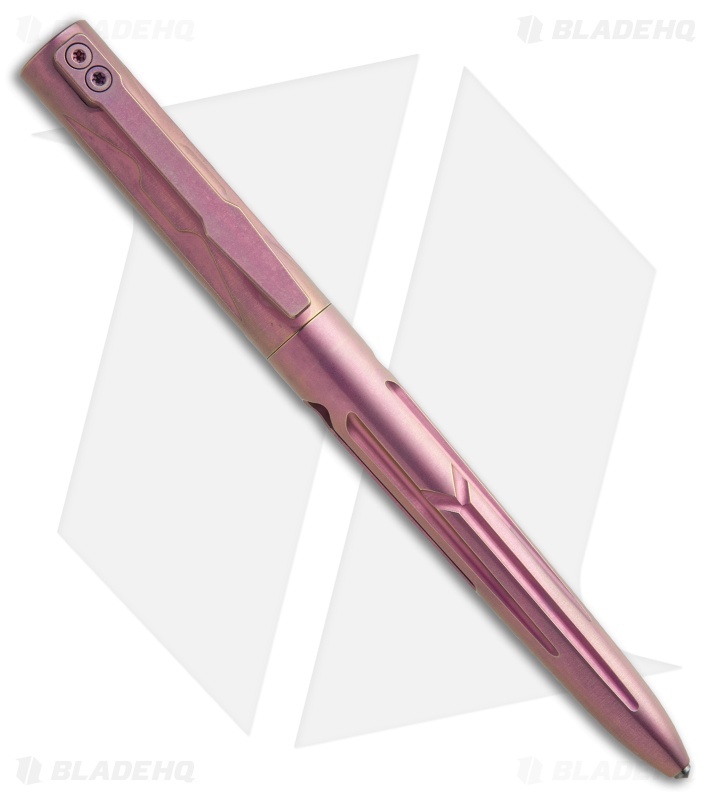 A milled titanium pocket clip finishes off the solid EDC design. 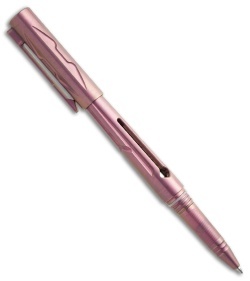 This Rike Pen model has a magenta anodized finish. TC4 titanium construction ensures unparalleled strength and durability. O-ring sealed threaded cap provides an airtight secure pen closure. Milled titanium pocket clip offers a comfortable EDC option.